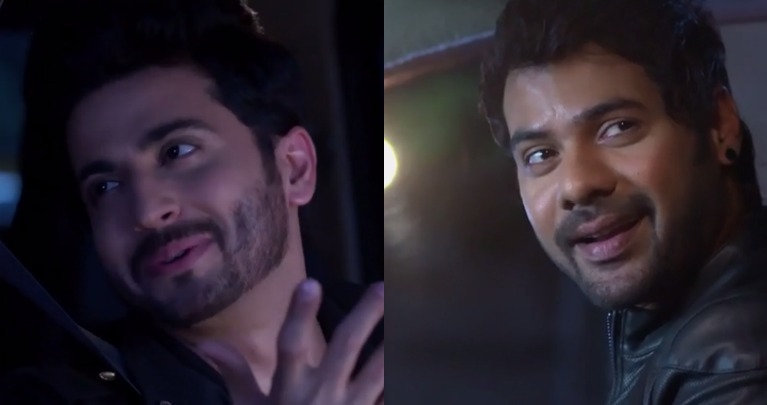 Kundali Bhagya, a spin off to Zee TV's popular show Kumkum Bhagya went on-air this week and has managed to fare well with the audience. As the show completes a week of its airing, here we analyze the good, the bad and what we think the future of the show will be. Read on as we analyze the show! 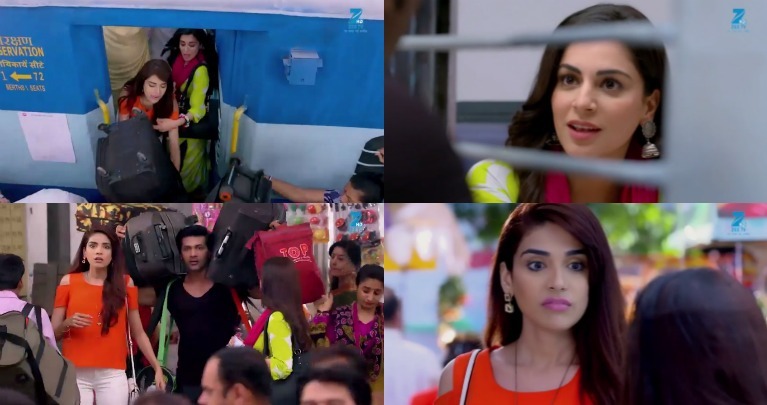 The episode starts-off with Preeta (Shraddha Arya) and Srishti (Anjum Fakih) struggling to find their way at the station. While it portrays Preeta as the simple and innocent sister, Srishti is depicted as the carefree and lively sister. Meanwhile, a flashback to the duo visiting Deepak (Sahel Phull), Preeta's fiance on his birthday is shown. Here, while Deepak takes Preeta around the house, he tries to get intimate with her which, however, she manages to escape. 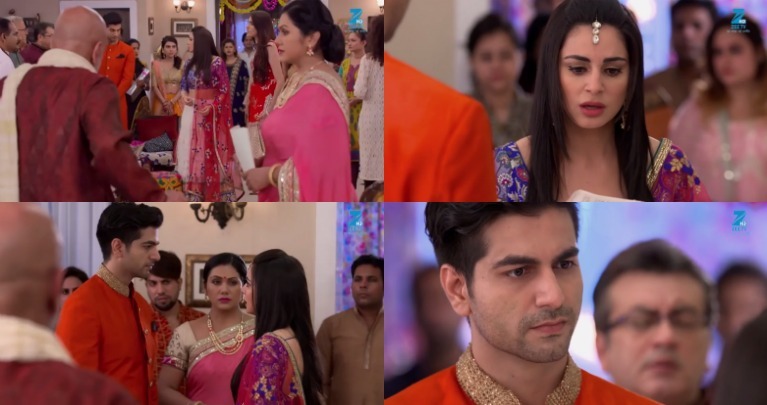 With glimpses of the current day, the engagement day (flashback) is shown to be a complicated one where the duo's father comes home drunk, hiding something from them as Srishti shouts at him. The baraat arrives and things come to a standstill. 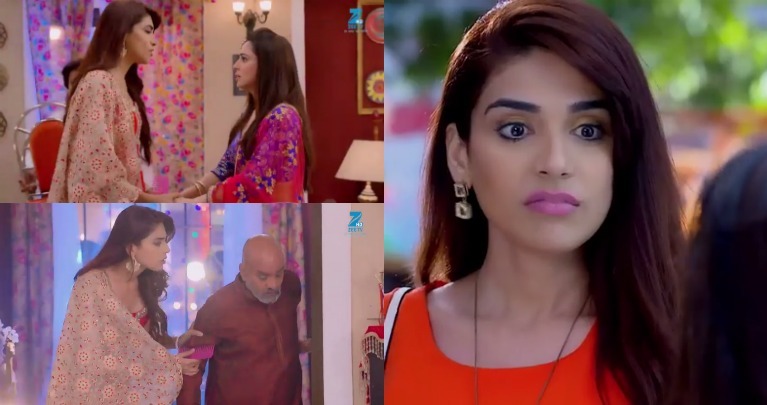 Next, we see Preeto's father handing over the documents of the house to her to-be mother-in-law. And, following this, Srishti raises her voice post which Preeti takes the decision of breaking the alliance. What follows is a major showdown between the duo. Their father collapses on the ground and is rushed to the hospital where the sister duo learns about his last stage of cancer. As he breathes his last, he tells them about their mother and other two sisters back in Mumbai. Hearing this, they are as much shocked and broke, however, in the form of his last wish, he asks them to go find them as he hands over to them their address. 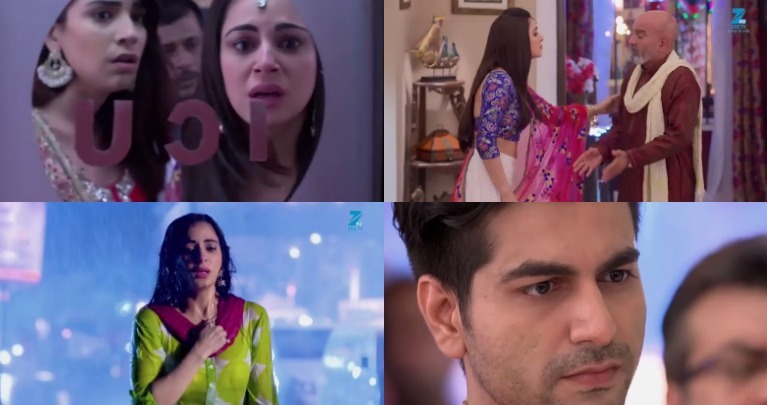 Within a span of only 3 episodes, the show managed to leave a long lasting impression on us with its intriguing plot and parallel stories going on. It displays the sister relation at its best, and at the same time, portrays the sister duo as very upright and staunch. At the same time, it also has depicted the essence of a father-daughter relationship beautifully towards the end of the second episode. Yet another good thing about the show we feel is the shift from the same old Abhi - Pragya drama. 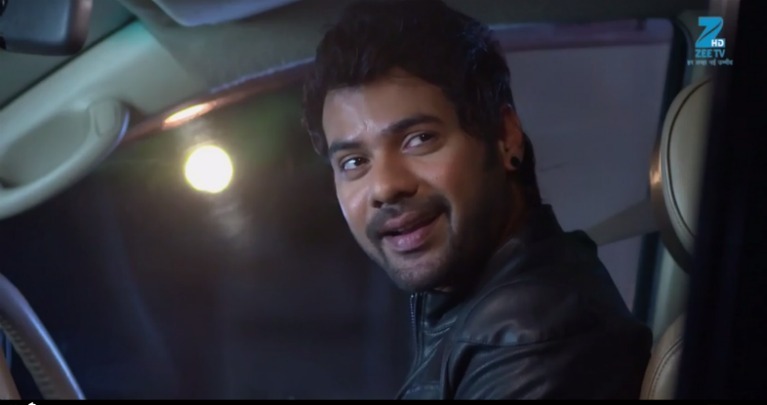 (Oh yes, we like Abhi's presence in the show). And lastly, from the first few episodes, the makers have portrayed the two girls as very strong headed. 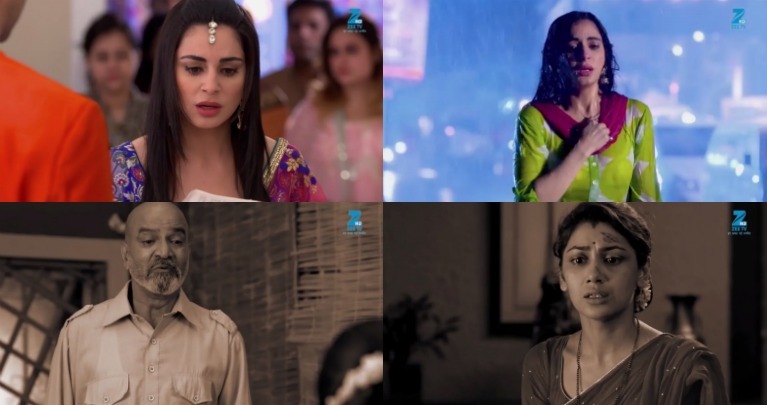 How the show incorporated an anti-dowry message was commendable as well. Well, we couldn't really find a loop-hole in the show as of now, may be as it proceeds we might figure out ways through which the show can fare better. So, until we find any bad, let us stay tuned to it. And, of course, we wish we could see a glimpse of Manit Joura in the first few episodes as well. Shraddha as Preeta and Anjum as Srishti have been characterised extremely well and they've managed to do total justice to the roles. Shraddha has beautifully portrayed the responsible elder sister, and at the same time, a strong woman with stronger beliefs. Anjum, on the other hand, though a quite contrast to Shraddha's character, has done equal justice to her role. We think that the two will create their own stance in the show, the kind that'd not be very easy to take away from them. With the first week into the show, we must say, we are impressed. 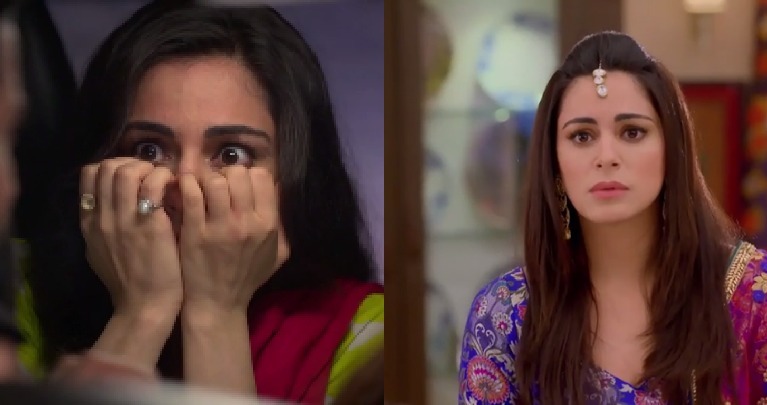 Though a spin-off to Kumkum Bhagya, we are sure that the show will create a buzz like never before. A strong story, definite characters and a good screenplay is what sums up the entire show. What do you have to say about the show? Leave your comments below.